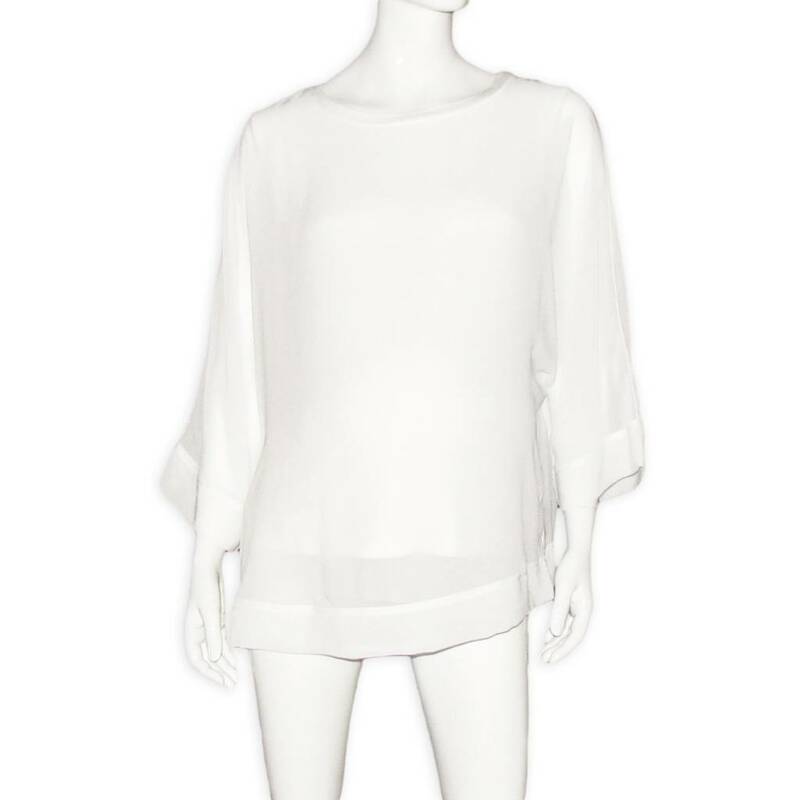 With her bare shoulders and her cut this maternity Gebe blouse , remind us of Roman princesses! 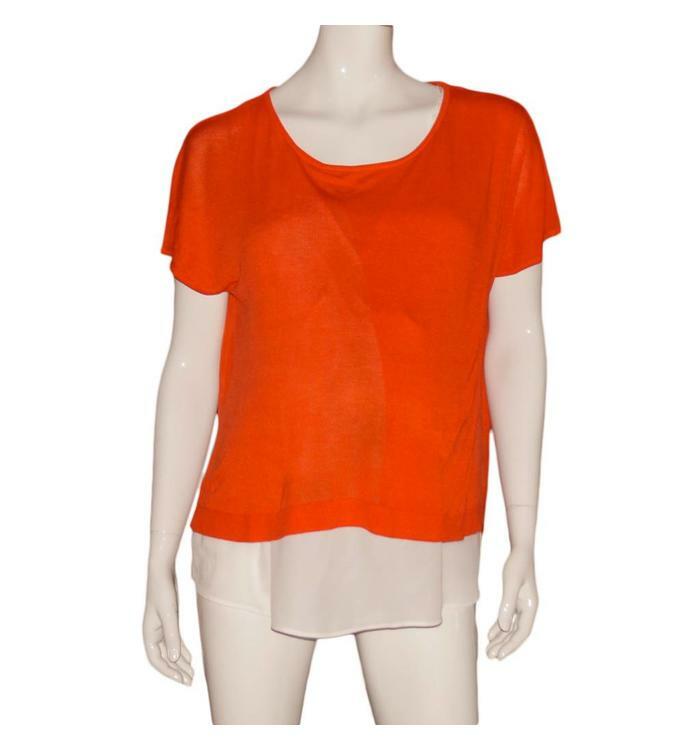 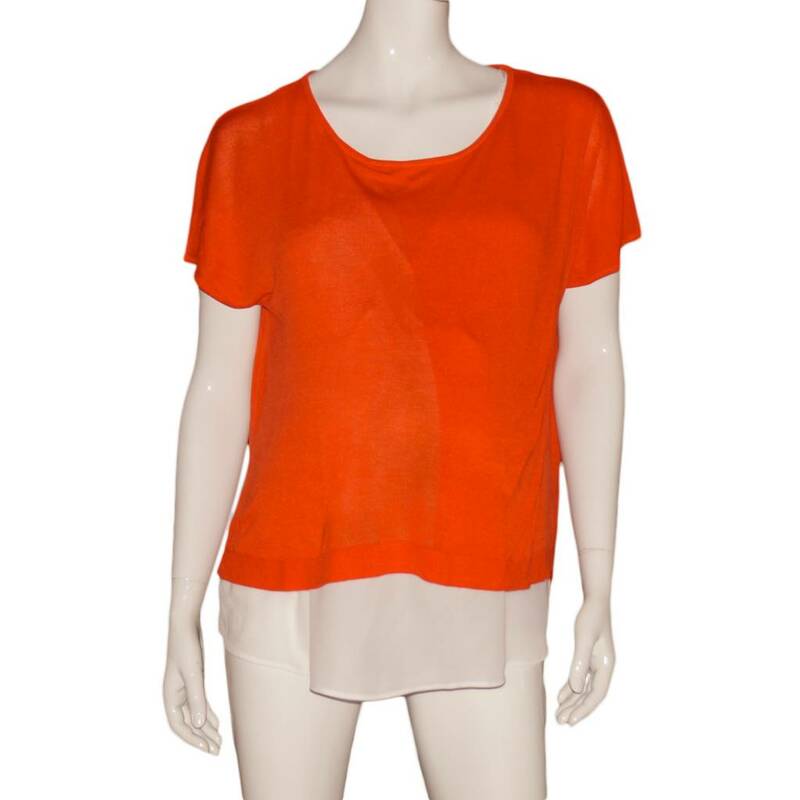 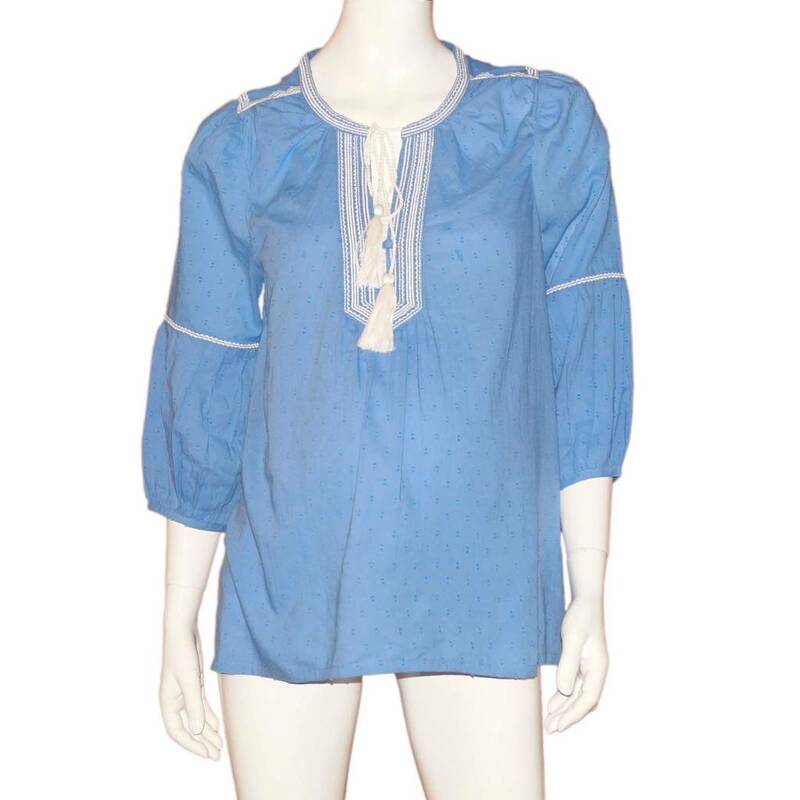 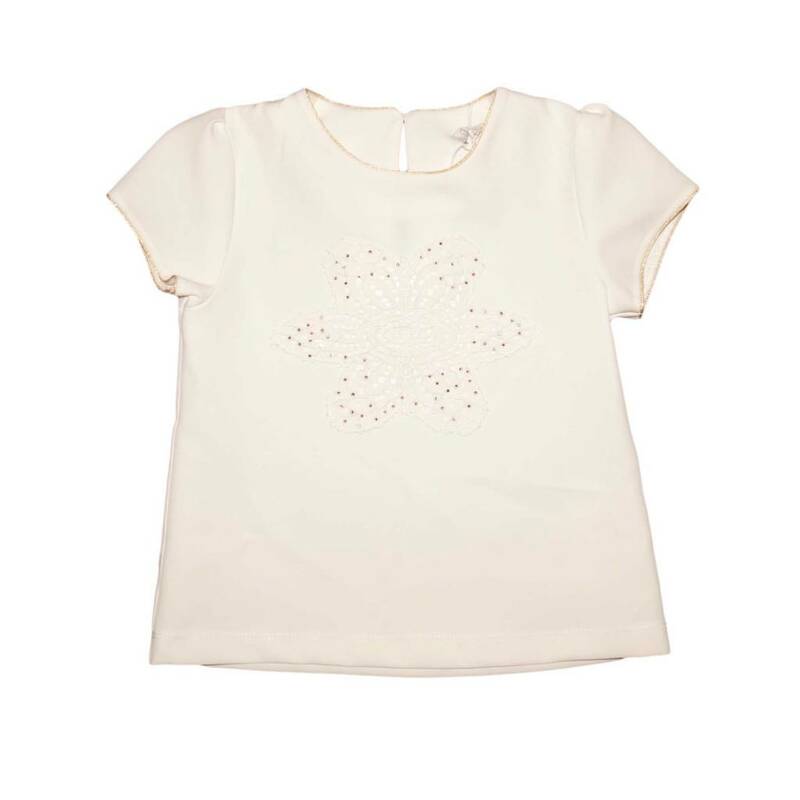 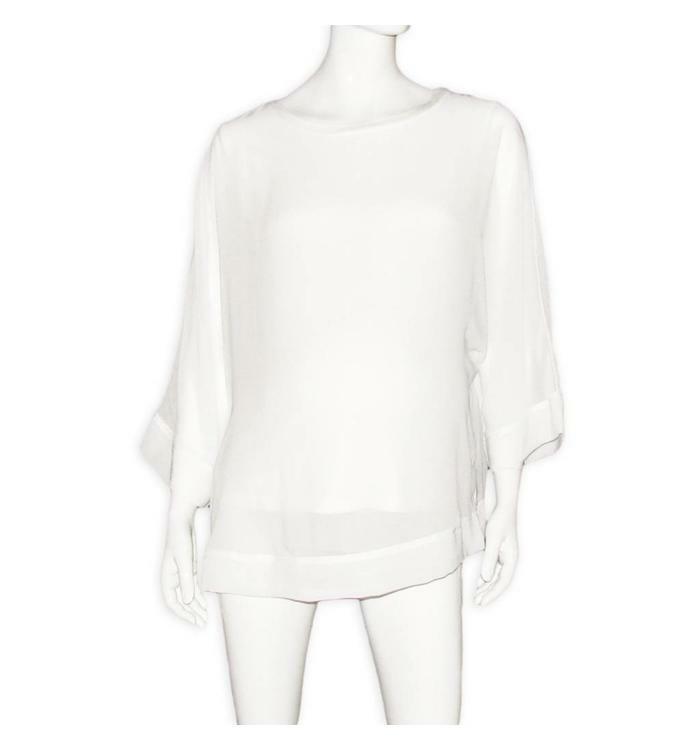 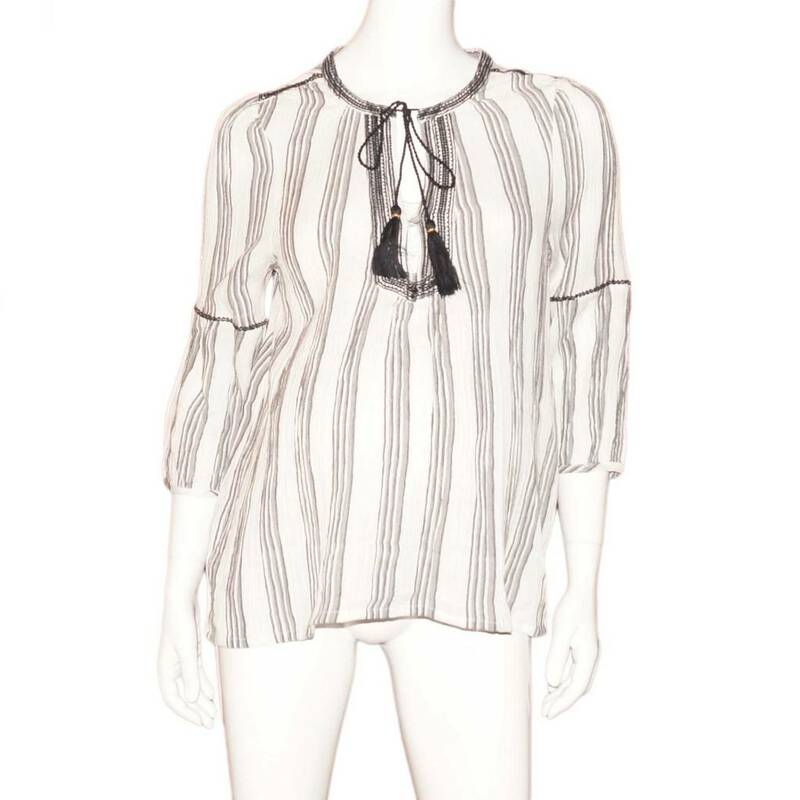 Be stylish and chic with this nursing top from Gebe. 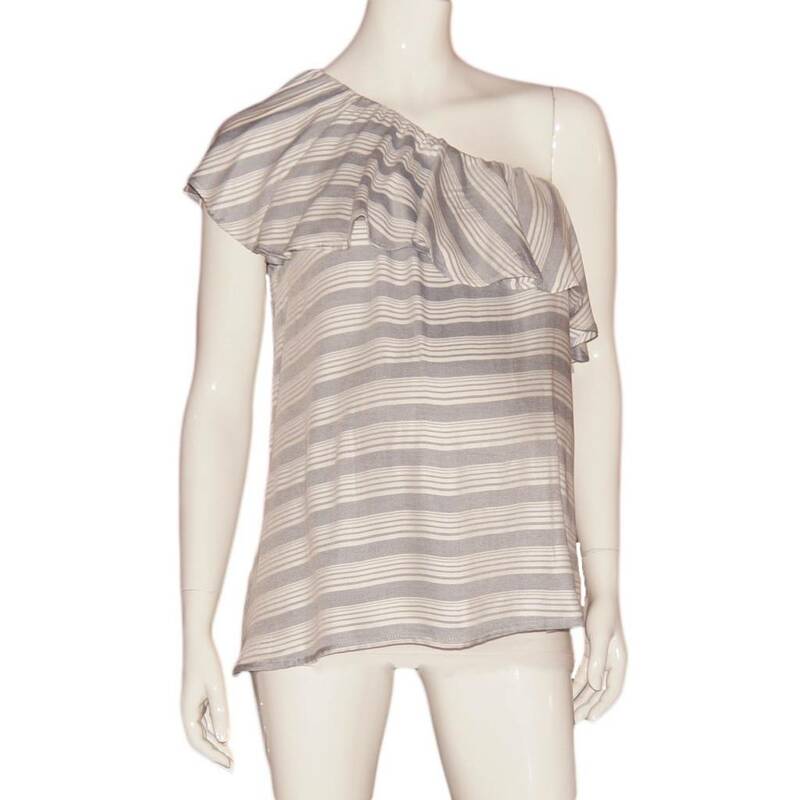 We've fallen for this feminine and casual maternity blouse from Jules & Jim! 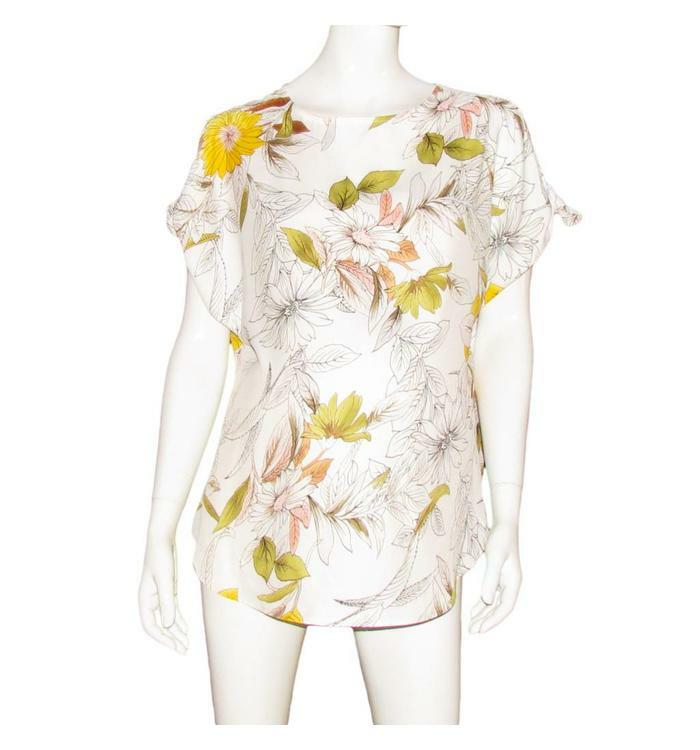 It also has a pretty floral print. We have selected this Jules & Jim pregnancy blouse for its feminine fit and the excellence of the materials used. 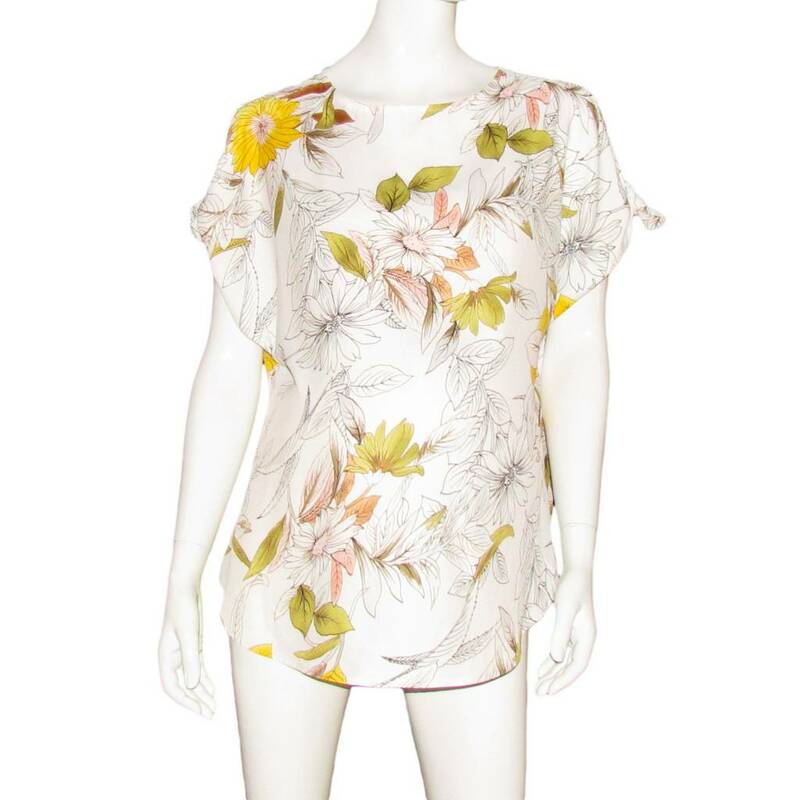 Ivory short sleeve blouse with a floral print decorated with rhinestones and small contrasting golden stripes. 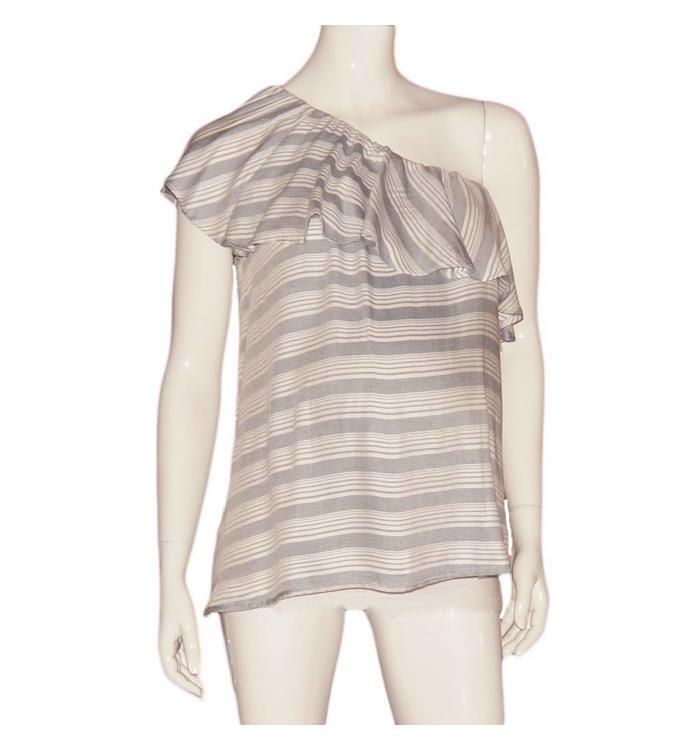 Maternity, ivory with lines gray and black blouse, a big v neck and braided cords on the neck.